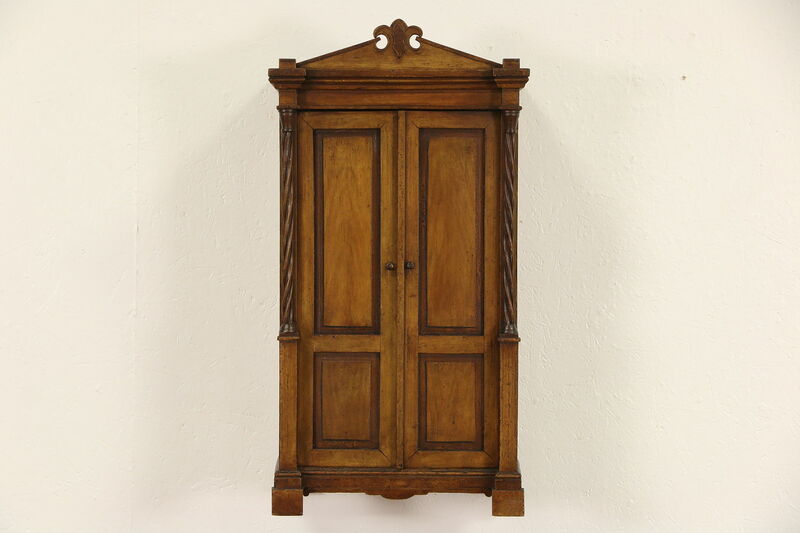 Made for a child about 1870 in northern Europe, this miniature tabletop armoire has hooks that show it was once hung on a wall. The original grain painted finish on solid pine has varnished for protection. Spiral columns are hand carved on this picturesque antique furniture. There are shrinkage separations from age, see photos. Measurements are 16 1/2" wide, 12" deep and 32" tall.